I was out scouting for an idea I had for writing an article, comparing Mexican food in Singapore. 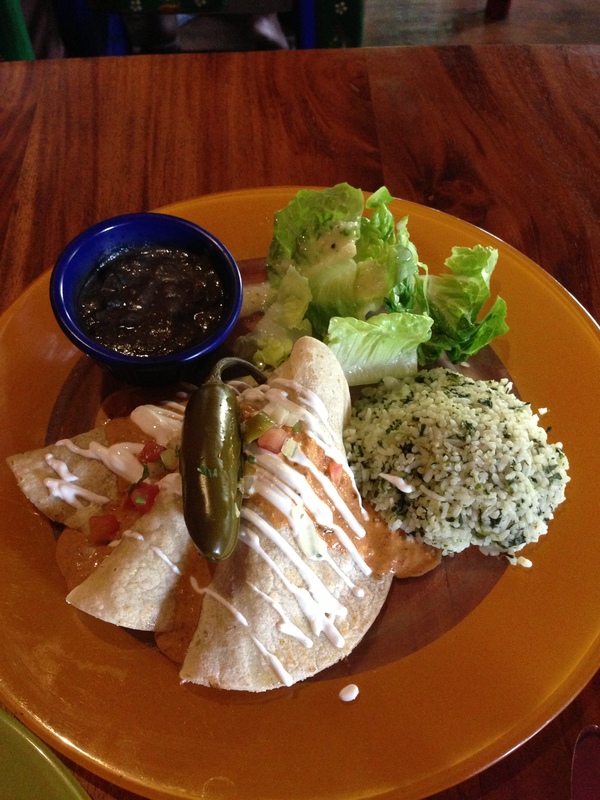 Now, people have told me that good and close to authentic Mexican food in Singapore is difficult to come by. This has also been my experience. But, I decided to try anyway. 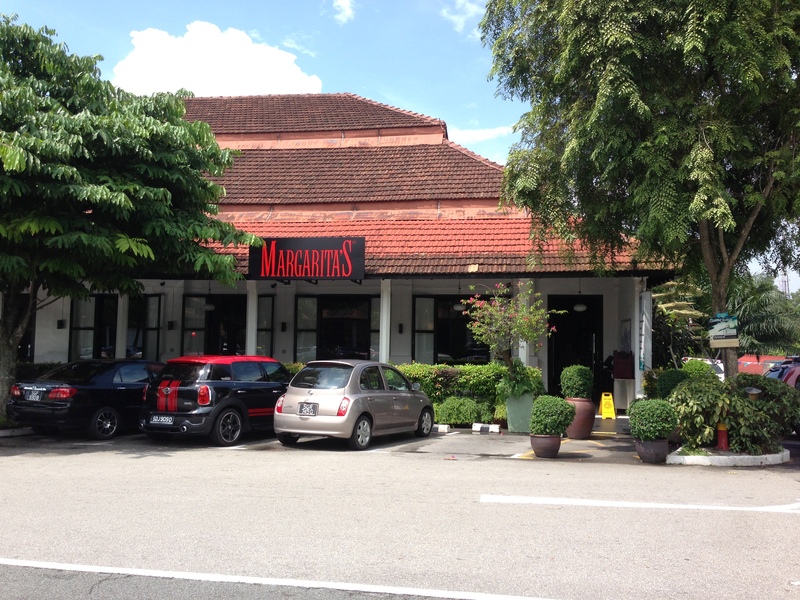 My first stop was Magarita’s at Dempsey Hill, because I had heard it wasn’t that bad for Mexican food. People were wrong. Located in the main stretch of Dempsey where all the restaurants were, it was not so busy for a late lunch. Plenty of seats and nice and quiet. 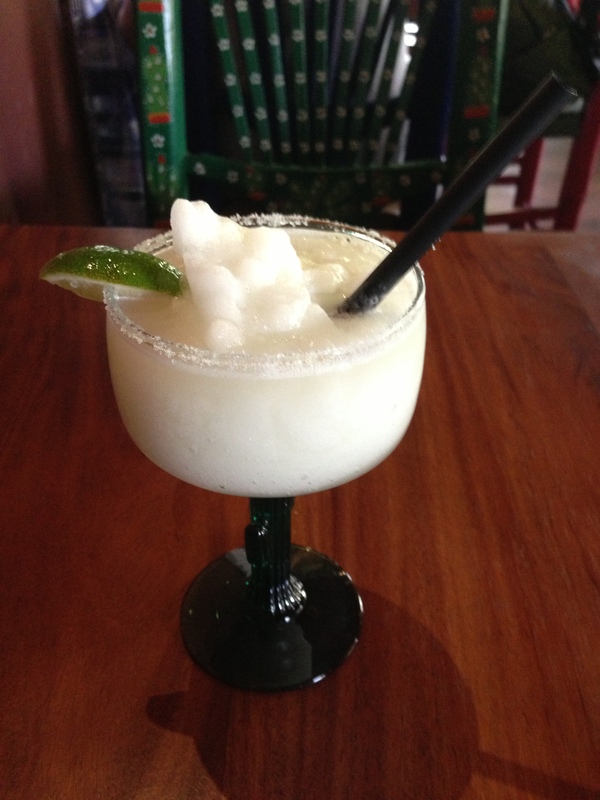 I started out with a magarita, at least to see what it was like. It was okay, premade mix, some salt, sweet, not bad as far as drinks go. Enough with the drinks, time for the food. I had been craving tacos for a bit, so I decided to go with the Beef Tacos. Take a look below and tell me what’s wrong with this picture. Where in the world do you get tacos that have sauces on the outside? It’s eaten with your hands! So why would you put not one, not two, but three different sauces on the outside? Sour Cream sauce, some refried bean sauce and some salsa. What are they thinking? This made for a very messy taco eating experience. Inside, the beef left little to be desired. 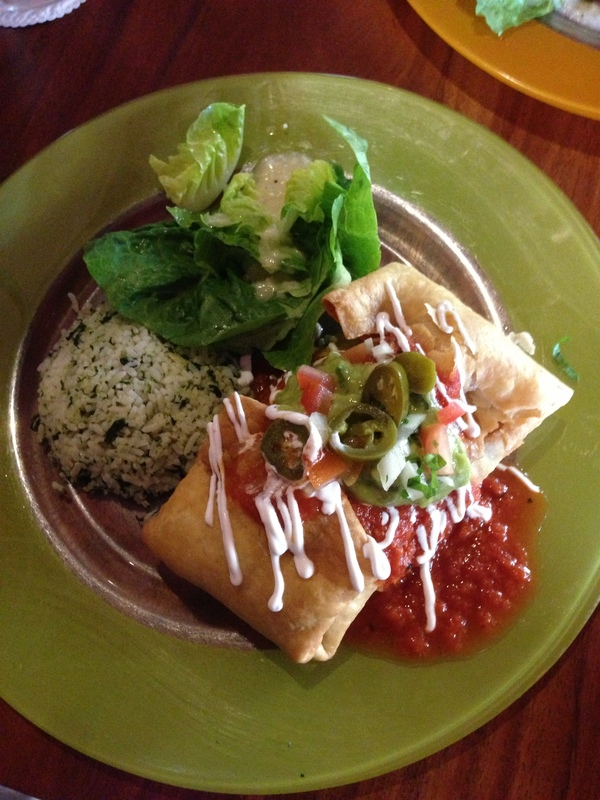 Next, I went with one of my favorites, the Chimichanga. I was expecting a nice crispy torilla on the outside, wrapped around lovely meat and cheese. I went for chicken here. And on top, I expect a nice salsa type sauce. OK, not bad. But the tortilla was folded up so that the layer of tortilla was double the size of a normal tortilla. It actually looks ok, not bad at all. I opened it up and chicken and cheese came oozing out. A little bland for me on the inside. But enjoyable enough. I have to say that this will probably be the last time I go to Magarita’s. Not great in my books. And after this, I abandoned my idea to write a story comparing Mexican food in Singapore. Why? Because I don’t know that I can take another meal like this and be utterly disappointed. 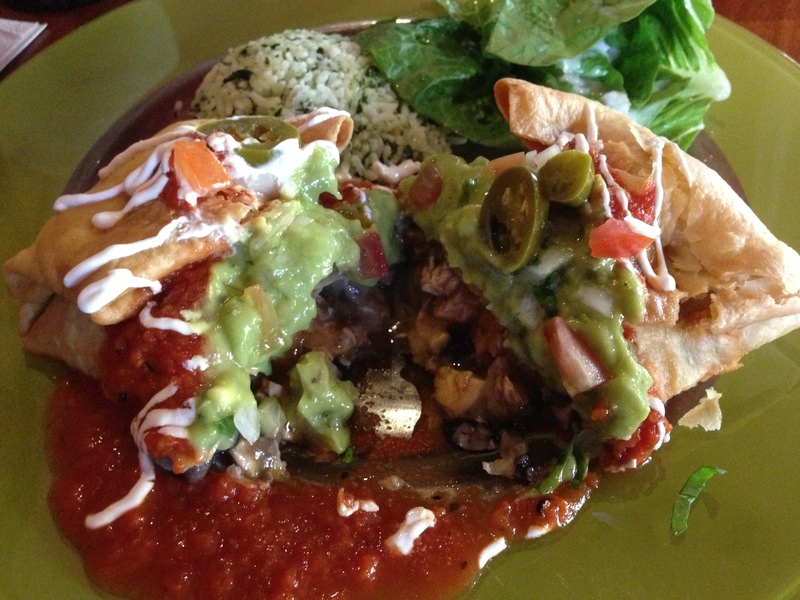 Posted in MexicanTagged Chimichanga, Mexican, TacoBookmark the permalink.